Dull action today. 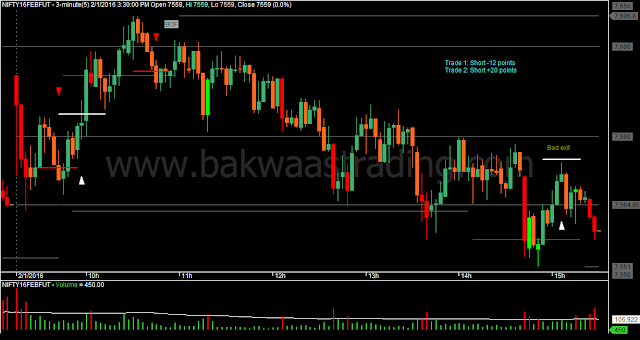 Price mostly stayed within 30 point Initial Range. Took 2 Short trades. The first was a loss. 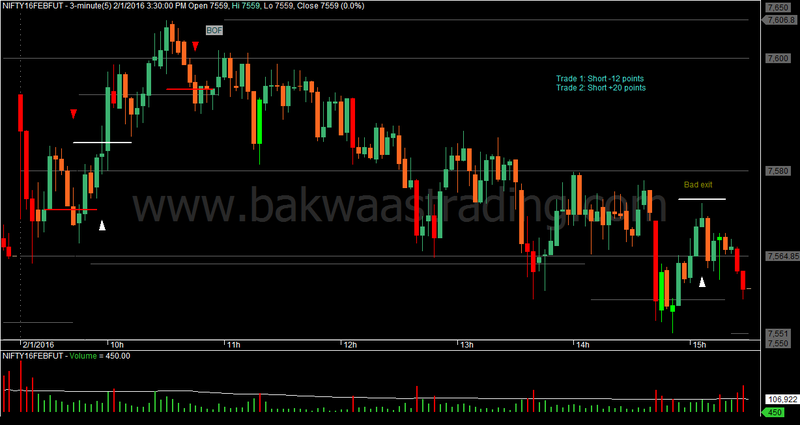 The second short, on the Breakout Failure of 7600 gave a profit - enough to beat the loss by a small margin. After being in that second trade for a long time, got out to a very bad exit.